I really hate when I am cooking and can't find a pot holder. 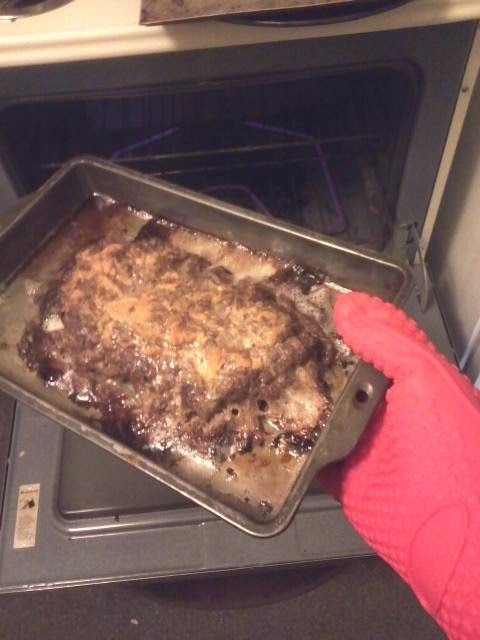 The food is sitting there in the oven getting overly done and you are frantically searching for something to get it out. 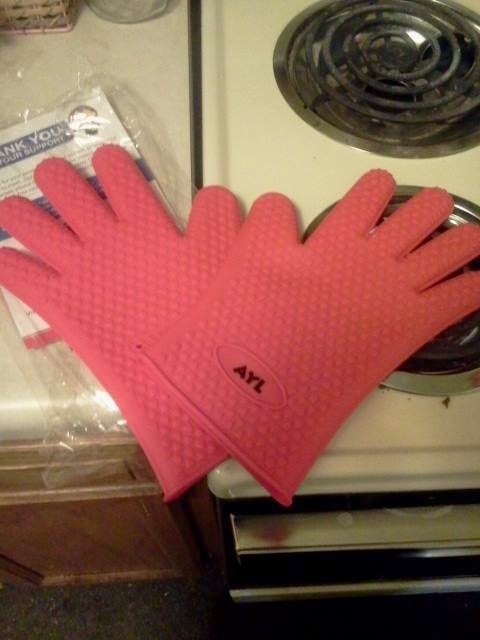 If you had AYL silicone gloves, you could throw all of your pot holders away. 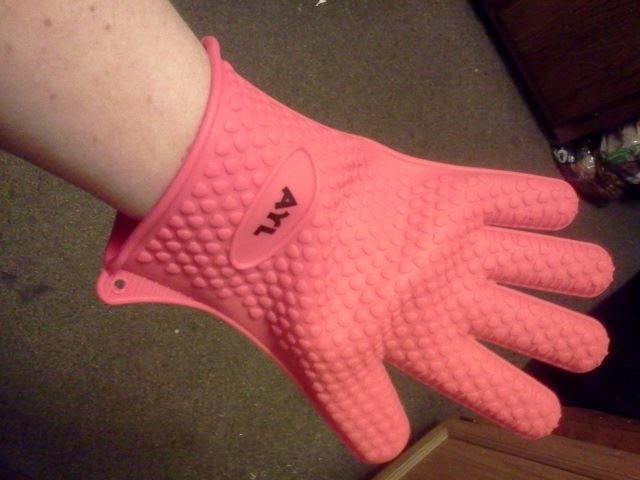 These gloves are all you need to get some cooking done. 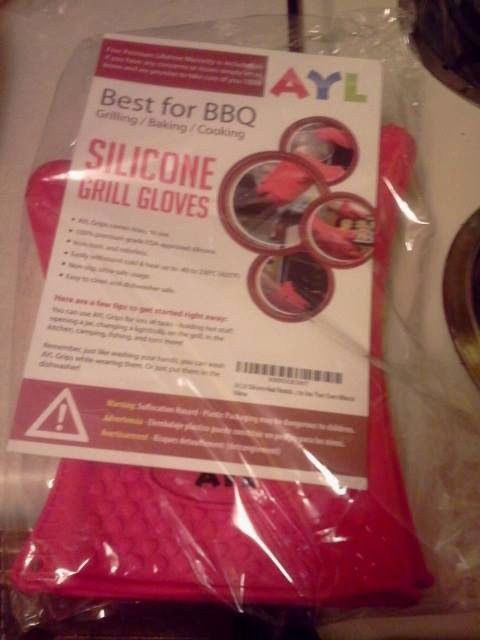 AYL silicone BBQ/oven gloves are very well made. 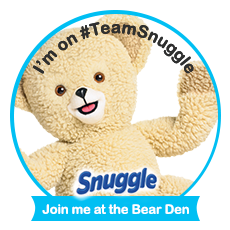 The material is really nice and you really feel safe, putting them on and using them. All you have to do, is simply cook something on either the grill or in the oven. Then you simply slip them on. They are very big and will fit most hands. 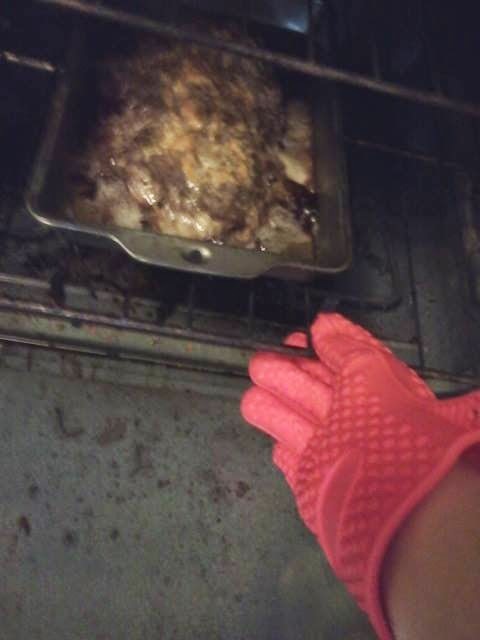 After you put them on, just reach in and grab whatever it is you are cooking. Simple as that. Being silicone they wash up easily if you happen to spill anything on them. I just used a washcloth and some soap and water. I didn't dunk them under so it wouldn't get inside of them. I was afraid that some of the water/moisture would get stuck inside the fingers and cause mold to grow inside. The outside dried very quickly. As long as I had dry hands, then the gloves were very easy to slide on. I really love these gloves. Of course after a little bit you can feel the heat, which happens with anything you use to hold hot things. 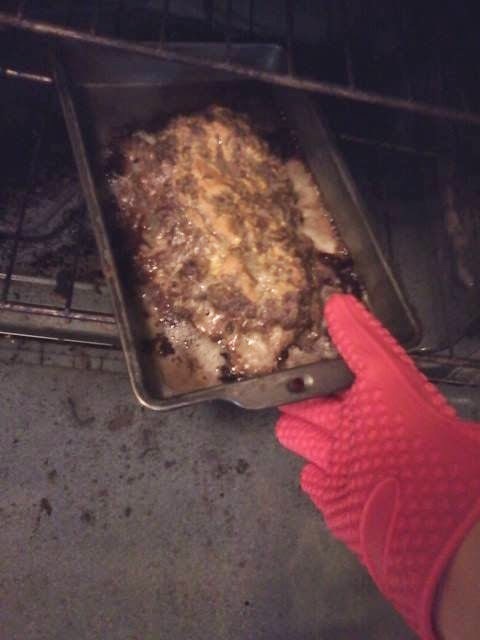 I just made sure that there was a space to place whatever I was taking out of the oven. So I could get it out of my hands quickly. This is a great product that anyone who cooks will love! You can head on over to Amazon, by clicking here. From there you can find out more about the product, see what others are saying about it, and buy a pair for yourself. I received this product for free in exchange for my honest opinion and review. Regardless of price, I will always be honest in my reviews.